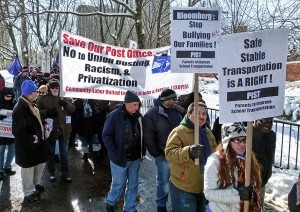 To support striking NYC school bus drivers, CLUPJS members participated in Feb. 10 march over the Brooklyn Bridge. On Feb. 5, Postmaster General Patrick Donahoe announced plans to stop delivering and collecting letters and other first-class mail on Saturdays, beginning Aug. 10. Post office operating hours will not change but postal workers will only deliver packages and prescription drugs on Saturdays. More than 35,000 letter carriers, rural carriers, clerks and mail handlers’ jobs are threatened from the controversial cutbacks. The surge of three days of accumulated mail every Monday will overwhelm and slow down operations, leading to more delivery errors and delays, injuries and unfair discipline procedures. Monday holidays will increase the problems. 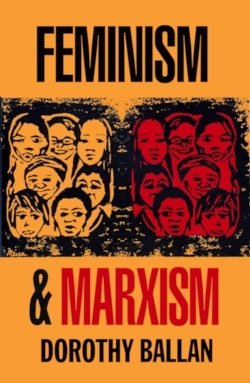 “Combined with service cuts at thousands of post offices, the sell-off of landmarked postal buildings, the accelerated privatization of postal trucking, and the gutting of mail processing facilities, the elimination of Saturday delivery and collection will slow Social Security, WIC [Food and Nutrition Service] and other checks, medicine, absentee ballots, advertisements, newspapers, parcels and magazines,” said a Community-Labor United for Postal Jobs & Services press release dated Feb. 17. Fredric Rolando, president of the National Association of Letter Carriers, said, “Postmaster General Patrick Donahoe’s plan to end Saturday delivery is a disastrous idea that would have a profoundly negative effect on the Postal Service and on millions of customers” and called for the immediate removal of the postmaster general. The National Association of Letter Carriers has called a national day of action to save six-day delivery on Sunday, March 24. 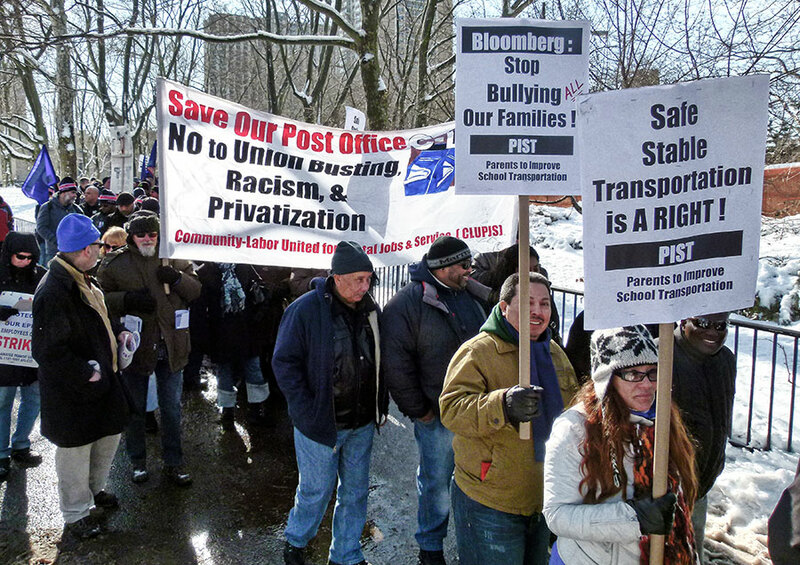 The national coalition Communities and Postal Workers United has called for local days of action the weekend of March 17 to save the postal service and to oppose all closures, cuts and delay of mail. Piette is a retired postal worker.